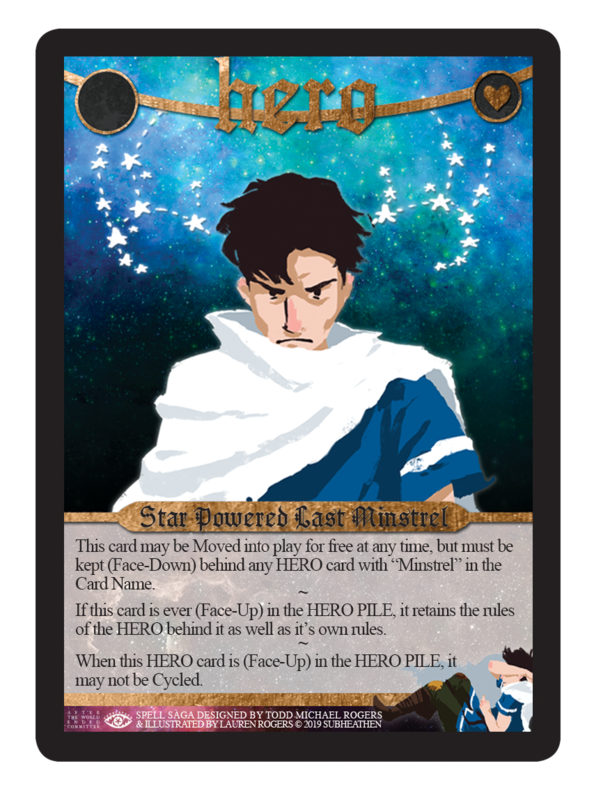 Each of the three main decks of Spell Saga has Bonus Cards that are intended to be shuffled into play at the beginning of a game.These bonus cards are printed in various quantities, over the course of a limited course of time. Once a deck has reached end of its bonus cycle, no more bonus cards will be printed for it (The Deck One ~ The Highlands Bonus Cycle was 129 cards, from 2014 to 2018). In 2013 Spell Saga was attempted as a fundraiser on Kickstarter. An effort which eventually succeeded in the fall of 2014. Six different Collectible Content packs were designed in 2013, each containing 3 cards that pushed for very specific interactions between them. And like most of Spell Saga, these cards were designed backwards—with names and theme advertised before mechanics were invented. 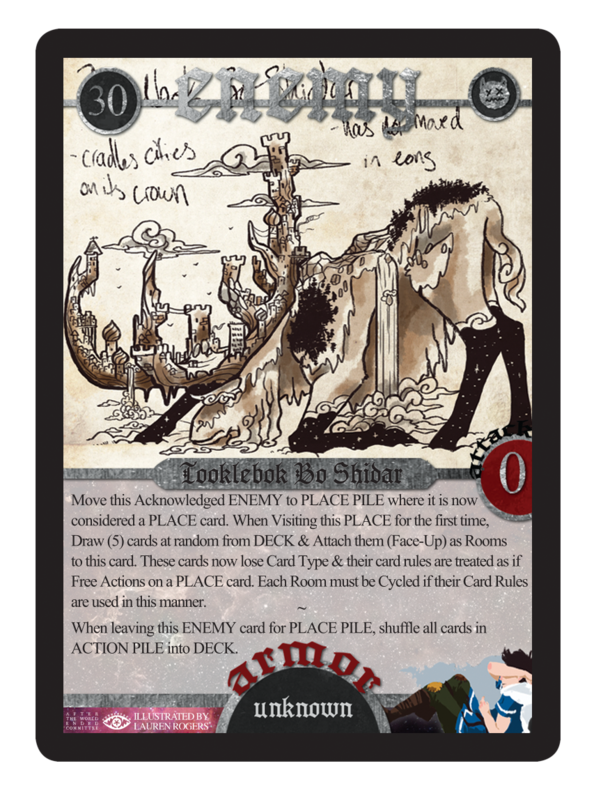 In fact, the rules on the cards were created while the 2013 Kickstarter was already running. Over the course of several updates players were able to download PnP files to try out—and were treated to a typo-ridden short story for each of the collectible contents—something that has never been attempted since. Many of these cards were originally separated throughout the Fundraiser, and available only at certain levels of payment. When the project took four years to send out to patrons, it was decided to send everyone every card from the Fundraiser, many of which were presented inside a special deck box called ~ The Bonus Box ~. Beware the doom // cough out the spores. Time to battle: his stomach is an arena?! Find the echo // Find yourself. Oh! What happened …to your hair? The sands are dangerous, best get your glass slippers // will you learn to channel the dead as money? In 2013 Spell Saga was attempted as a fundraiser on Kickstarter. An effort which eventually succeeded in the fall of 2014. Four different holofoil cards were designed in 2013: The Battle-Damaged Last Minstrel, Band of Two & Meow-Meow Treasure Slayer. The fourth holofoil was The Lone Paladin which was subsequently moved into Deck One ~ The Highlands as the 100th card (this decision began the trend of giving each Deck one special HERO as the final numerical card). Designing cards for the 2014 Fundraiser brought the next 3 holofoils, the heaven-sent genderless detective: The Sourceror, the Copy-Cat (that’s it’s real name) summon spell of The Special Song & it’s Gold Goblin sibling card: The Treasure Song. The latter two would cement their appearance in the second edition (first printed) final version of Deck Two ~ The Forest. In 2013 Spell Saga was attempted as a fundraiser on Kickstarter. An effort which eventually succeeded in the fall of 2014. 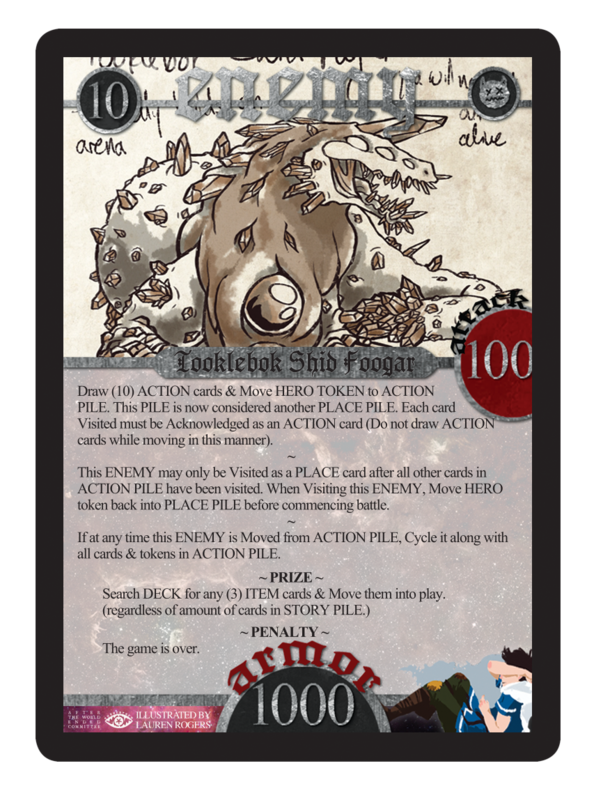 During the Fundraiser a total of 76 Bonus Cards were printed, spread across various Collectible Content expansions, limited edition holofoils and various others short-run cards. Below you will find the cards printed as various gifts to patrons after the 2014 Fundraiser well exceeded its monetary goals. Some of these cards were presented together as new 3-card Collectible Content expansions, while others were put together as such after the fact. Some or all of these cards may be printed in other languages, in which case they would retain their original or post-fundraiser earned CC names. 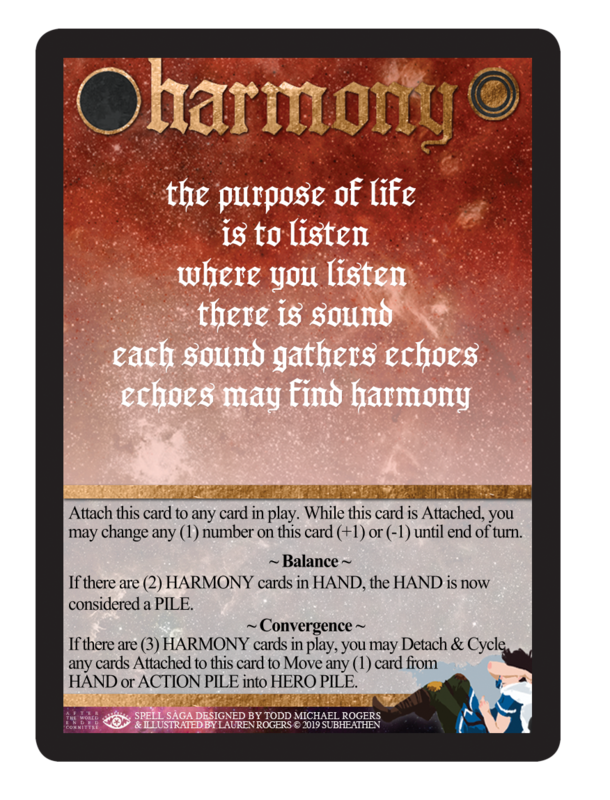 *The only card not shown here is the perennially printed Social Shifting Card, which was first made available with the following cards. *The Spell-Song card Song of Midnight’s Dawn is the first of three cards in a Collectible Content pack which spans all three main Spell Saga decks. In 2013 Spell Saga was attempted as a fundraiser on Kickstarter. An effort which eventually succeeded in the fall of 2014. After the Fundraiser ended, the cards were ready to be printed in January of 2015. But due to an unexpected counting error, the printer ended up having room for a double-dozen or so cards. Some of these ended up being the Rare cards in the “Relics & Rarities” CC, but the other spots were filled with cards that were already being designed for PnP only. Thus, the first and only rare card expansion of 2015 was born. In 2013 Spell Saga was attempted as a fundraiser on Kickstarter. An effort which eventually succeeded in the fall of 2014. 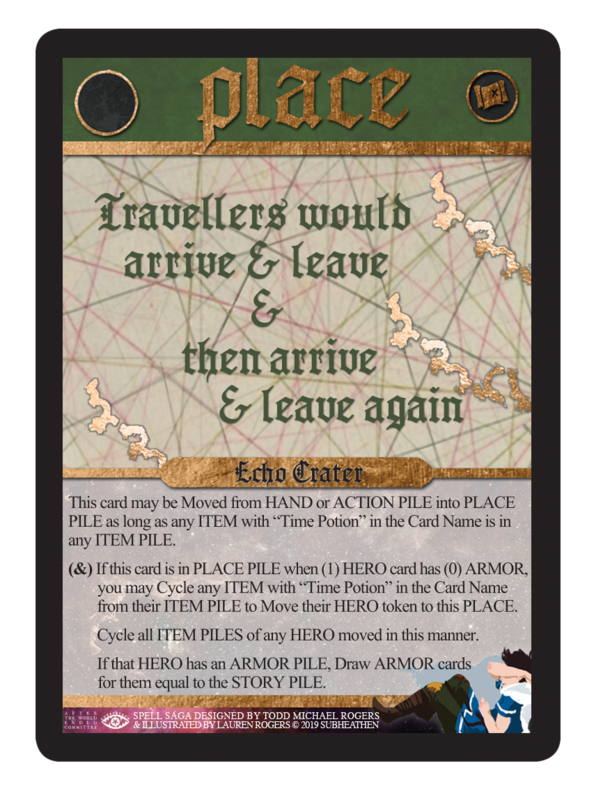 During manufacturing woes a third Fundraiser was thrown in the Summer of 2015, to celebrate the launch of Spell Saga PnP files in German, Italian, & Portuguese. 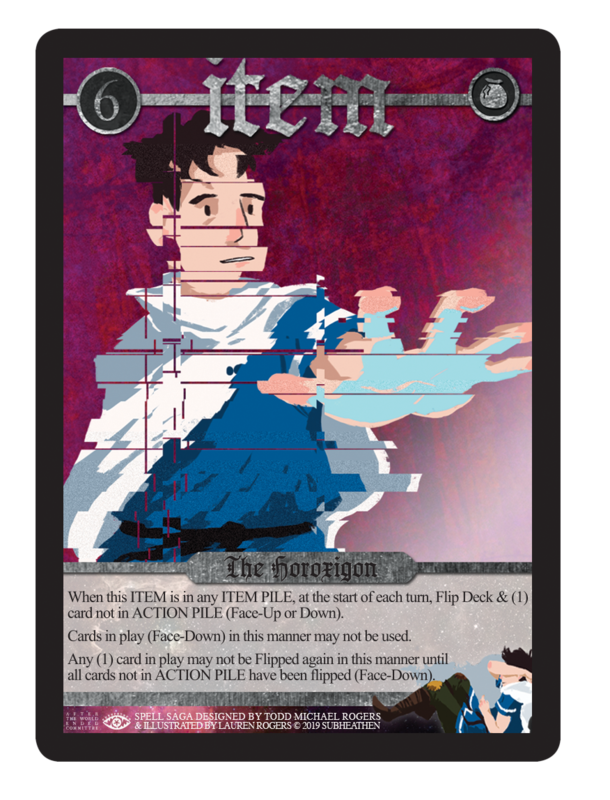 During this Fundraiser it was announced that patrons who had pledged at a certain level of the 2014 Fundraiser would receive a unique one-of-a-kind holofoil card for use with Deck One ~ The Highlands. Three later, the entire printing crop arrived at SUBHEATHEN in July of 2018 (most of it anyway, the Deck One holofoil sleeves were missing). 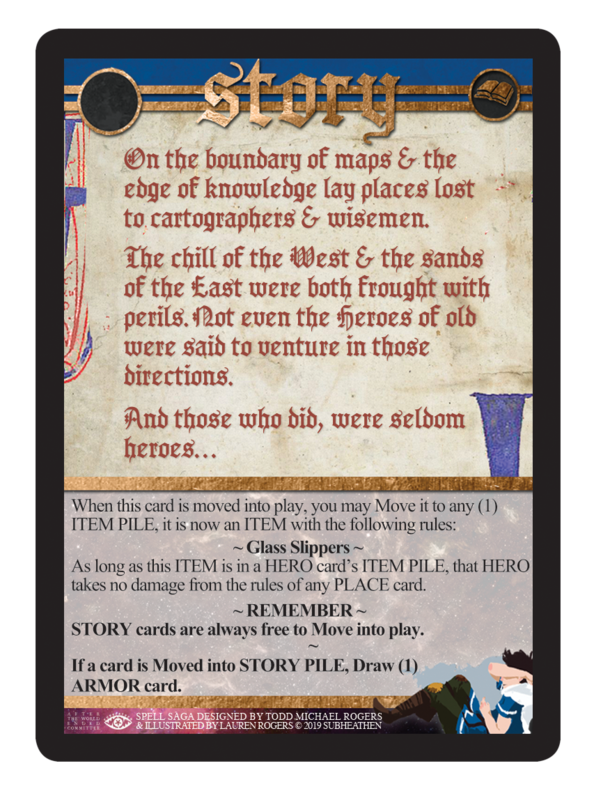 While our manufacturer printed us new sleeves, these Paladin Level cards were designed and printed to be sent out across the world. They were given out at random, and only one of each card exists on the planet. In 2013 Spell Saga was attempted as a fundraiser on Kickstarter. An effort which eventually succeeded in the fall of 2014. In October 2018 the first edition Spell Saga decks were sent across the world to patrons who had been waiting patiently. 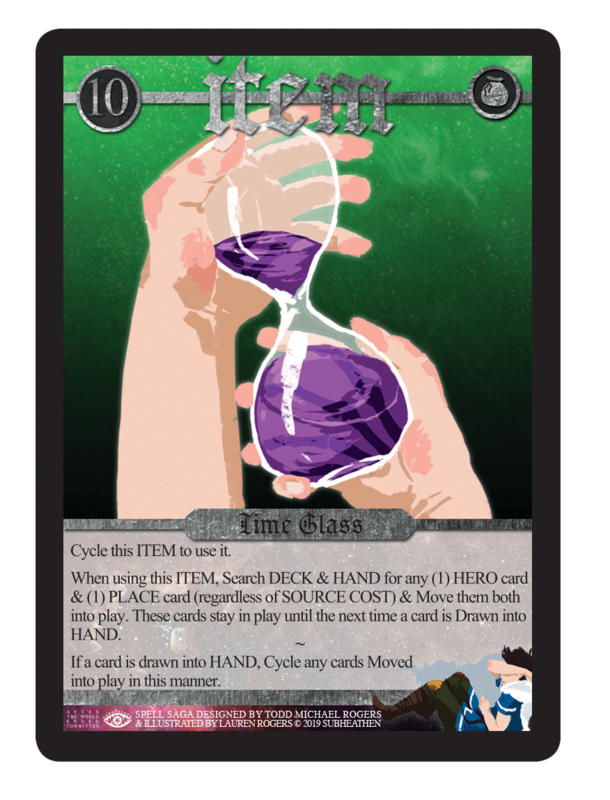 To commemorate five years of Spell Saga this holofoil card was printed in limited quantities and sent to patrons who had been with us since the failed 2013 Fundraiser. In 2013 Spell Saga was attempted as a fundraiser on Kickstarter. An effort which eventually succeeded in the fall of 2014. The final card of Deck One ~ The Highlands was an extremely limited holofoil (the print run was around 75 cards). This was given out in secret, taped to the insides of limited 300 count collector boxes that were given to Fundraiser patrons who had spent over a certain amount of money. 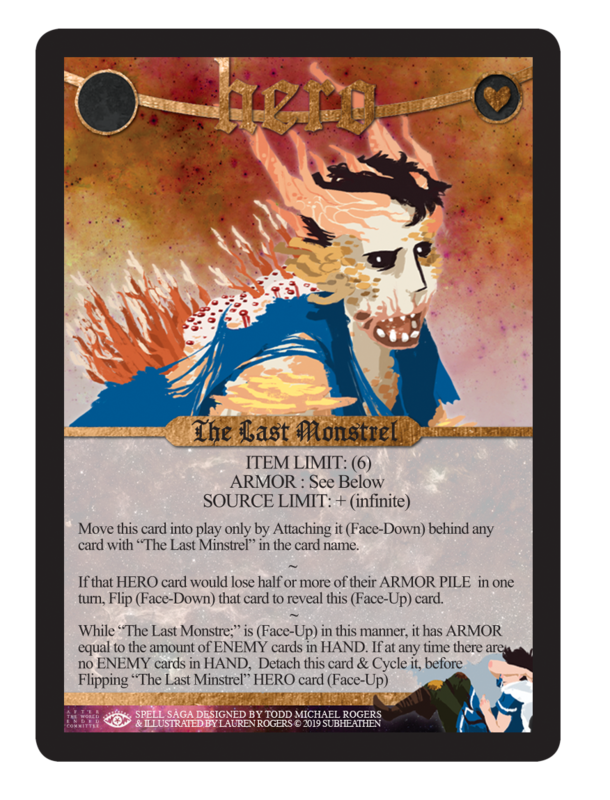 It represents the very last card of the Deck One ~ The Highlands English edition.